Utah’s resurgence in Pac-12 play was rewarded Monday, when three players were honored by the conference’s basketball coaches. 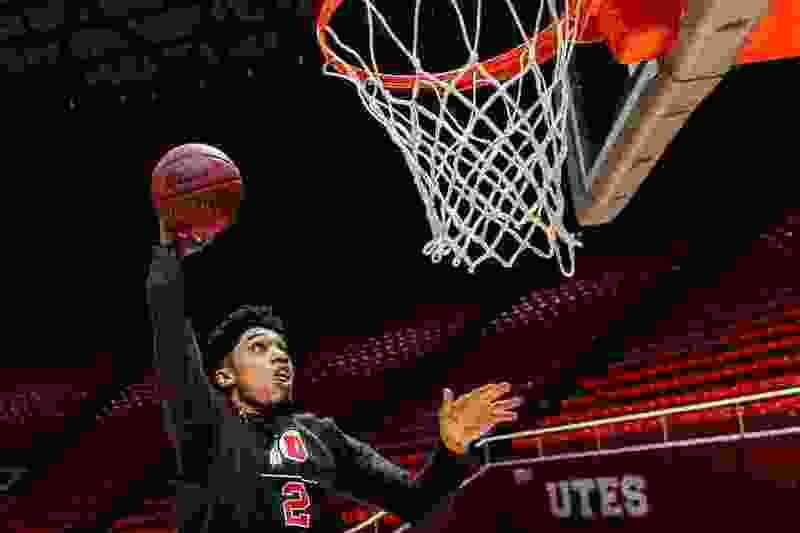 Senior guard Sedrick Barefield extended Utah’s run of All-Pac-12 players, sophomore forward Donnie Tillman was named the Sixth Man of the Year and forward Timmy Allen made the All-Freshman Team. Barefield’s selection to the 10-player first team marks the sixth straight season a Utah athlete has been honored, following Delon Wright (2014 and ’15), Jakob Poeltl (2016), Kyle Kuzma (2017) and Justin Bibbins (2018). The Utes have finished among the conference's top four teams each of the past five seasons. Utah (17-13, 11-7 Pac-12) will take the No. 3 seed into this week's Pac-12 tournament in Las Vegas, meeting the Oregon-Washington State winner in a quarterfinal game Thursday night at T-Mobile Arena. Sixth Man of the Year: Donnie Tillman, Utah. Player of the Year: Jaylen Nowell, Washington. John R. Wooden Coach of the Year: Mike Hopkins, Washington. Defensive Player of the Year: Matisse Thybulle, Washington. Scholar-Athlete of the Year: Stephen Thompson Jr., Oregon State. Freshman of the Year: Luguentz Dort, Arizona State. Most Improved Player of the Year: Tyler Bey, Colorado. Barefield is averaging 17.2 points for the season and 18.7 points in conference games. “Having success as a senior has been really cool, because it has been a true process,” the transfer from Southern Methodist said in a Salt Lake Tribune interview last week. Among the highlights of Barefield’s season are his 24-point effort in a comeback victory at Arizona State to open Pac-12 play, a 33-point night in a win at Washington State and his 29-point game in a Senior Night defeat of UCLA last Saturday. Last month, he delivered the assist on Parker Van Dyke’s buzzer-beating 3-pointer for a win at UCLA. Barefield is shooting 39.8 percent from 3-point range and his 92 3-pointers rank No. 3 on Utah’s single-season list. No other Ute player received more than two All-Pac-12 votes from the league's other 11 coaches and none made the five-player All-Defensive team. The coaches named five players to the all-conference second team. Four more players received honorable mention with three or more votes (other vote totals were not published). Tillman scored in double figures in seven of those 13 games, including 21 points in an overtime loss at Arizona and 16 in a loss to Oregon. Returning to the starting lineup because of Allen’s injury, Tillman posted 16 points and 11 rebounds and played good defense on All-Pac-12 player Robert Franks in a win at Washington State. Allen has been one of the Utes’ best all-around players, giving him a spot on the five-player All-Freshman team. Allen is averaging 12.2 points and 5.3 rebounds, while shooting 58.3 percent from the field with his ability to score in the lane. 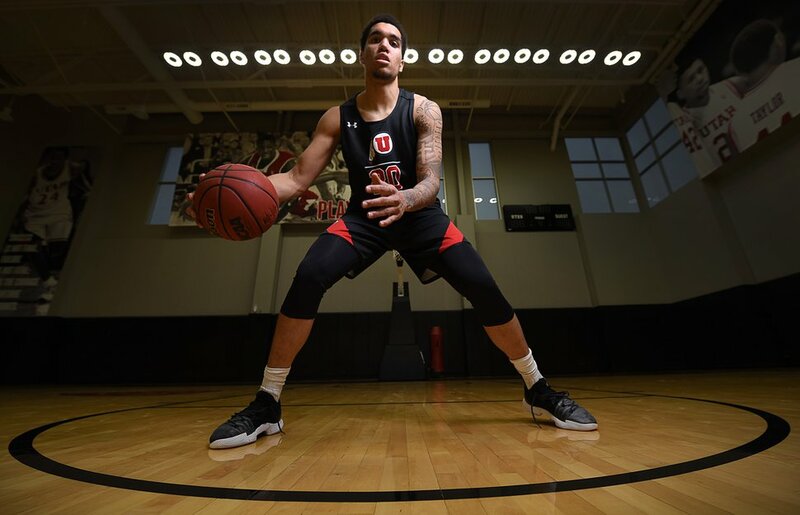 He’s also a good facilitator of Utah’s offense in the high post, helping the Utes rank No. 20 in offensive efficiency in the kenpom.com analytics. After returning from a two-game injury absence, Allen has scored 11, 19 and 17 points in the last three games. Krystkowiak often describes Allen as one of Utah’s toughest players and best defenders. Allen has two double-doubles in conference wins, with 21 points and 10 rebounds vs. Colorado and 17 points and 12 boards at California. In addition to Barefield, the All-Pac-12 first team included two players from regular-season champion Washington and two from Colorado. Each of the nine players had at least one outstanding game vs. Utah. And the absences of Franks and Colorado guard McKinley Wright were noticeable when their teams visited the Huntsman Center. 🎥 Recap | Utes 92 to 81 victory on Senior Night vs UCLA. (Rick Egan | The Salt Lake Tribune) Utah Utes forward Donnie Tillman (3) dunks the ball over Colorado Buffaloes guard D'Shawn Schwartz (5), in PAC-12 basketball action between the Utah Utes and the Colorado Buffaloes at the Jon M. Huntsman Center, Sunday, Jan. 20, 2019. Sedrick Barefield, Utah senior guard. Tyler Bey, Colorado sophomore guard/forward. Bennie Boatwright, USC senior forward. Zylan Cheatham, Arizona State senior forward. Robert Franks, Washington State senior forward. Jaylen Nowell, Washington sophomore guard. KZ Okpala, Stanford sophomore forward. Matisse Thybulle, Washington senior guard. Tres Tinkle, Oregon State junior forward. McKinley Wright, Colorado sophomore guard.